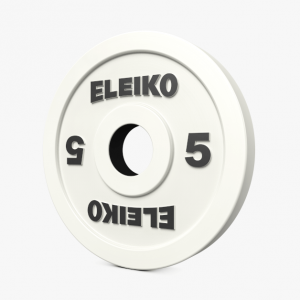 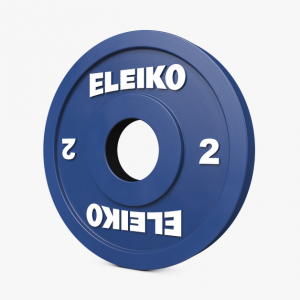 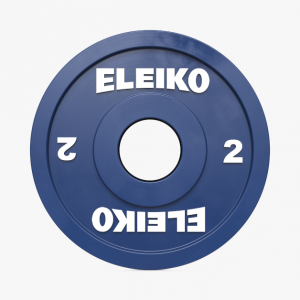 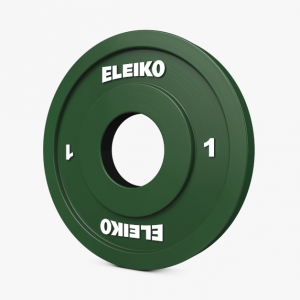 Discos de complemento 0,5kl Eleiko Competition Certificado IWF ARTICLE CODE 124-0005R HEIGHT 13 mm / 0.51 in. 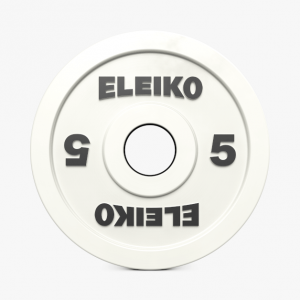 WEIGHT 0,5 kg / 1,1 lbs WARRANTY 5 years COLOUR White DIAMETER 135 mm / 5.31 in. 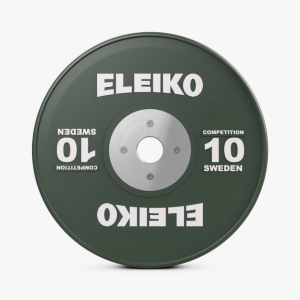 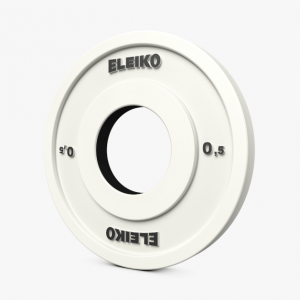 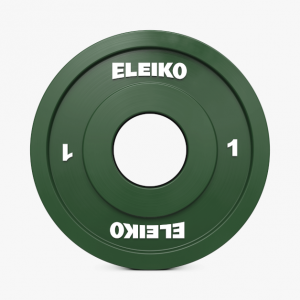 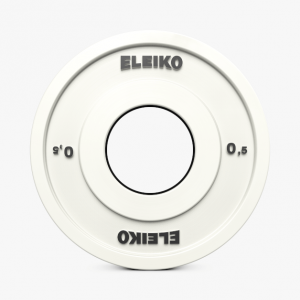 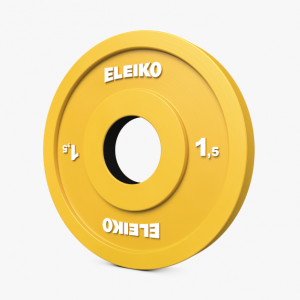 Discos de complemento 1,0kl Eleiko Competition Certificado IWF ARTICLE CODE 124-0010R HEIGHT 15 mm / 0.59 in. WEIGHT 1 kg / 2,2 lbs WARRANTY 5 years COLOUR Green DIAMETER 160 mm / 6.3 in. 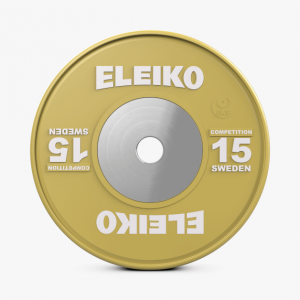 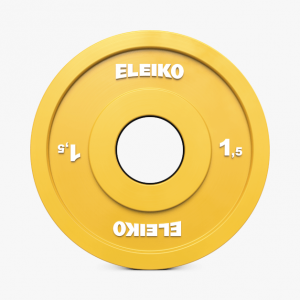 Discos de complemento 1,5kl Eleiko Competition Certificado IWF ARTICLE CODE 124-0015R WEIGHT 1,5 kg / 3,31 lbs WARRANTY 5 years COLOUR Yellow DIAMETER 175 mm / 6.89 in. Discos de complemento 2,5kl Eleiko Competition Certificado IWF ARTICLE CODE 124-0025R HEIGHT 19 mm / 0.75 in. 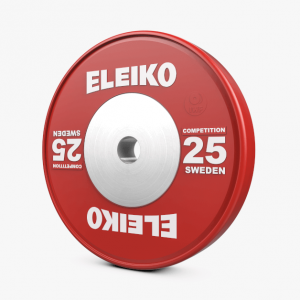 WEIGHT 2,5 kg / 5,51 lbs WARRANTY 5 years COLOUR Red DIAMETER 210 mm / 8.27 in.